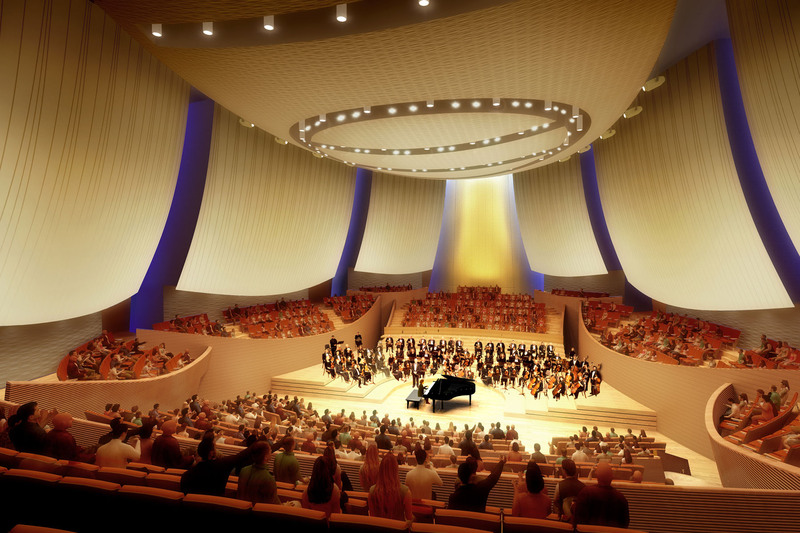 The interior of the Bing Concert Hall, on the campus of Stanford University, features a series of suspended acoustical panels to control the distribution of sound within the space. These panels are a composite of fiberglass and concrete attached to a three dimensional steel truss framework that is hung from the building’s structure. The design and analysis of the structure accommodated forces and movements associated with seismic activity and featured analytical models using finite element software to study the behavior of the composite assembly. Panels were molded individually using digitally fabricated forms to create the unique surface qualities necessary for proper sound distribution.